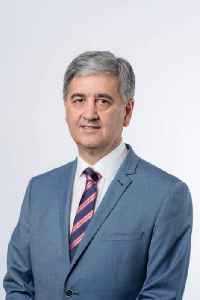 Robert Ivan Lucas is an Australian politician and a member of the South Australian Legislative Council since the 1982 election, representing the South Australian Division of the Liberal Party of Australia. Lucas has served as the Treasurer of South Australia since 19 March 2018 in the Marshall government. Lucas previously served as Treasurer between 1997 and 2002 in the Olsen and Kerin governments. Lucas is the current Father of the Parliament. He intends to leave parliament at the 2022 election. SA Treasurer Rob Lucas says he has spoken with the new controllers of Nyrstar's Port Pirie smelting operations about the $291m state-guaranteed upgrade loan.